With such close elections in Florida, pundits, political scientists and campaign operatives are taking notice, but here's why it may not add up to much. Look at the TV images — thousands of young people descending on Tallahassee and Washington to demand change after the Parkland massacre and Puerto Ricans filing off planes in Orlando after Hurricane Maria — and it's no wonder Democrats are so optimistic about Florida's elections this year. "I think turnout's going to be insane," said Annie Jae Filkowski, a 19-year-old liberal activist at the University of South Florida St. Petersburg. "I have friends who have never been interested in politics, and now they're saying, 'How can I get involved? What can I do?' "
Voters under 30 and Puerto Ricans overwhelmingly skew Democratic, with President Donald Trump losing both groups by at least 20 percentage points in 2016. With a potential surge in voters and Trump's low poll numbers, how could Democrats running for governor, U.S. Senate and countless other Florida offices not succeed? One of the marvels of Florida politics is that high-profile statewide elections are consistently so close that even a slight shift in the electorate makes a difference. The last two presidential and gubernatorial campaigns have been decided by about 1 percentage point. In the 50 million votes Floridians have cast in every presidential election since 1992, Democrats cast just 18,000 more votes than Republicans, a difference of .036 percent. That's why pundits, political scientists and campaign operatives take close notice of the sort of electorate shifts that the youth-driven #NeverAgain movement and the flow of Puerto Ricans appear to signal. Certainly, Republican malaise and anti-Trump sentiment, especially among women, bode well for Democrats this cycle. But for all the talk about a blue wave in Florida due to Puerto Ricans and young voters, there is little concrete evidence to support it. PEOPLE ALSO READING: She's taught at the Parkland high school for 14 years. Can she go back? Both groups turn out at far lower rates than most other voters. They do it in election after election despite predictions, especially with young people, that this will be the one when they turn out in droves. Consider the case for both voter groups. The influx of Puerto Ricans moving from the island and from the northeast over the past 15 years has helped transform once Republican Orange and Osceola counties in the greater Orlando area into Democratic strongholds. Puerto Ricans are widely viewed as swing voters, but decidedly Democratic-leaning. When Hurricane Maria devastated Puerto Rico six months ago and refugees started arriving in Florida, both parties understood the implications. Republican Gov. Rick Scott, a likely candidate for U.S. Senate, has made multiple trips to the island and aggressively worked to assist "our brothers and sisters from Puerto Rico" as they arrived in Florida. Well-funded Democratic and Republican political groups have launched voter registration drives and relief programs. In January, Gov. Scott estimated that nearly 300,000 Puerto Ricans have moved to Florida since Maria hit, and some experts predicted as many as 500,000 could wind up moving here. Trump beat Hillary Clinton in Florida by fewer than 113,000 votes in 2016, so hundreds of thousands of Puerto Ricans could be a political game-changer. Except that the governor's estimate of 300,000 new Puerto Ricans appears to be wildly inflated. 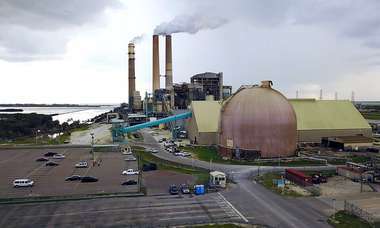 "We estimate it's just over 50,000," said Stefan Rayer, director of the Population Program in the Bureau of Economic and Business Research at the University of Florida. 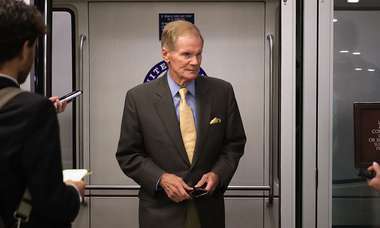 That estimate is based on requests for state aid at Florida's Multi-Agency Resource Centers and school enrollment data. The governor based his estimate of roughly 300,000 on the number of passengers on flights from Puerto Rico to Orlando, Tampa and Miami. Many of those passengers, however, could have been aid workers returning to the mainland, contractors, government employees, journalists or assorted other travelers. "It's hard to translate the flight arrival data into actual migrants," Rayer said. Nor is it clear how many of those 50,000 newcomers from Puerto Rico will register to vote while they are grappling with resettling in Florida. Some will return to Puerto Rico before November, and thousands will be too young to vote. 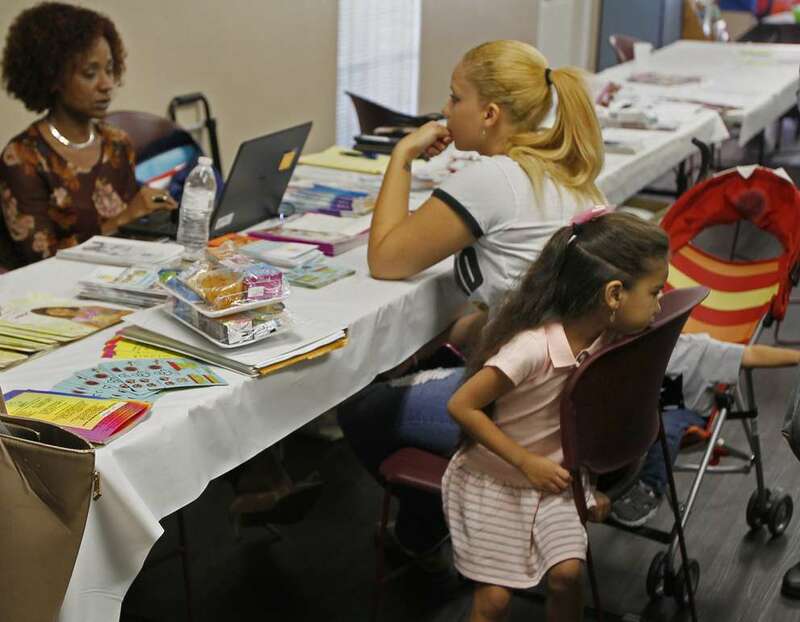 About 12,000 Puerto Rican refugees had enrolled in Florida schools as of January. Based on recent history, many of those who do register to vote will not actually do so. University of Florida political scientist Daniel Smith examined 2016 election results in Florida voting precincts with the highest number of voters who reported being born in Puerto Rico. Trump won only 30 percent of the vote in those precincts, where the Clinton campaign and assorted Democratic political groups poured resources into winning those voters. Of the more than 180,000 Puerto Rico-born voters in his database, about 112,000 voted. That 62 percent turnout rate is far less than the 75 percent turnout among all voters. In a non-presidential election year with presumably considerably less money targeting Puerto Rican voters, turnout could well be lower in 2018. But assume, very generously, that 40,000 Puerto Rican new Florida residents register to vote this year, 62 percent vote, and Democratic statewide candidates win 70 percent of those votes. That comes to about 17,000 additional Democratic votes. Helpful, yes, but no game-changer. Ever since Congress lowered the voting age to 18 in 1971, Democrats have talked of a flood of progressive young voters. Rolling Stone writer Hunter S. Thompson gushed about draft-vulnerable Baby Boomers saving America and electing George McGovern over Richard Nixon. "In a close election, even 10 percent of that bloc would mean 2.5 million votes — a very serious figure when you stack it up against Nixon's thin margin over (Hubert) Humphrey in 1968," he wrote in Rolling Stone. "Think of it: Only 10 percent! Enough, even according to Nixon's own wizards — to swing almost any election." Nixon won 49 states in 1972. 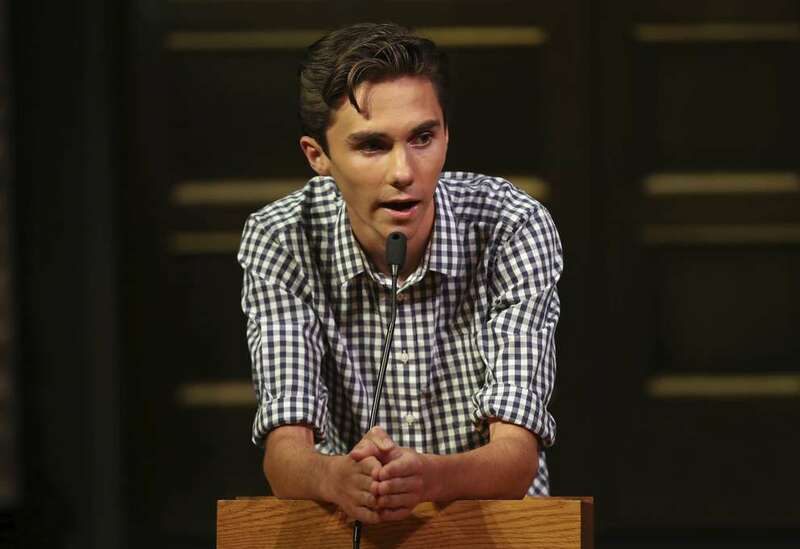 The eloquent and passionate students appearing on TV since the Marjory Stoneman Douglas mass shooting have revived talk that a surge of young voters will turn out in November. 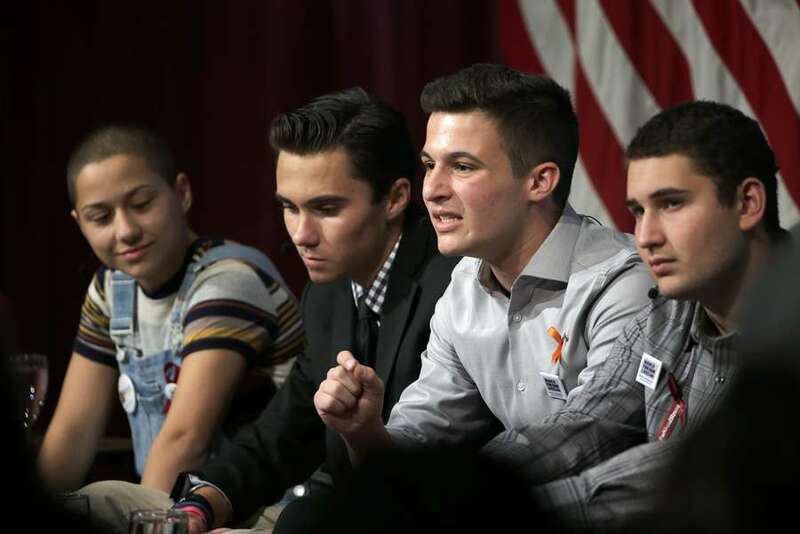 "What we've seen with this group of Parkland students is remarkable — they've inspired a movement of young people, not just in Florida, but across the nation," said Florida Democratic Chairwoman Terrie Rizzo. "They will absolutely be crucial to helping elect Democrats up and down the ballot who share the same values as they do, like protecting Floridians from gun violence." Rachel Callahan, a sophomore at USF and treasurer of the College Democrats club, wishes that were so. USF has its share of passionate and inspiring activists, Callahan said, but they are far from representative of the broader student population. "Unfortunately they're really not fired up," she lamented. "I come into contact with a lot of apathy. Young people feel so disenfranchised. They don't feel represented, they don't think their vote matters, and they say, 'Even if it does, you can't get anything done.' They just don't trust the system." Susan MacManus, a USF political scientist, likewise senses little or no rise in political interest among the student body. "Maybe it's because it's near the end of the semester and all their projects are due, but in terms of interest right now I'm just not seeing it drive the college kids," MacManus said. "Even the gun issue, it bothers them but in terms of it being a single issue that pushes them to activism and to the polls? I'm skeptical." With two highly competitive gubernatorial primaries this year, she expects one of the most contentious and negative primary seasons Florida has ever seen. "And that's another turnoff to this generation because it looks like politics as usual once again." 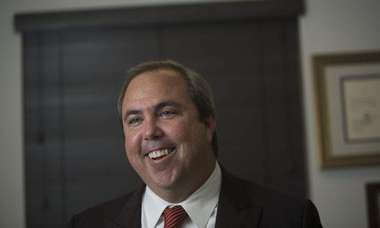 Pasco Supervisor of Elections Brian Corley recently spoke to 300 students at Fivay High School in Hudson and found them highly aware of the activism Parkland sparked. He spoke of chronic apathy among young voters, reminded them that Bush-Gore showed every vote counts, and concluded by asking whether they wanted to embrace the status quo of change or get involved and vote. "In 90 minutes, 141 pre-registered or registered to vote. It was like nothing I've ever seen," Corley said. "These students were engaged. They saw the Parkland students go to Tallahassee, they saw a bill get passed, they saw that it can be done, and they were motivated." Turnout drops for most parts of the electorate in midterm elections, but that's especially so with voters ages 18 to 29. In 2016, people under 26 made up the second-largest age group of voters in Hillsborough County but had the lowest turnout of any age group. "It is really hard to convince a large number of young people to come out and vote in midterms. The last time we measured, in 2014, it was one in five. That's outrageously low," said Kei Kawashima-Ginsberg, director of Tisch College's Center for Information and Research on Civic Learning and Engagement at Tufts University. She is buoyed by the signs that young voters are more wrapped up in politics this year than in 2014, but acknowledged that it takes considerable effort by candidates, by family members and fellow students to engage more young voters. Even Barack Obama's vaunted grass-roots campaign had limited success in driving up turnout among younger voters. Exit polls show voters under 39 accounted for 15 percent of Florida's electorate in 2008 (Obama won 61 percent of that vote), down from 17 percent in the George W. Bush vs. John Kerry race of 2004 (Kerry won 58 percent). Democratic consultant Ashley Walker, who ran Obama's 2012 Florida campaign, notes that every fraction of a percentage point shift in Florida can be decisive. Young people were crucial to Obama's electoral success not merely because of how many turned out to vote. "The energy and excitement that young people bring to a campaign has a direct impact on the election, and it's a meaningful direct impact," Walker said.